These take a bit more preparation and attention while cooking, but they are equally as delicious as their roasted counterpart. 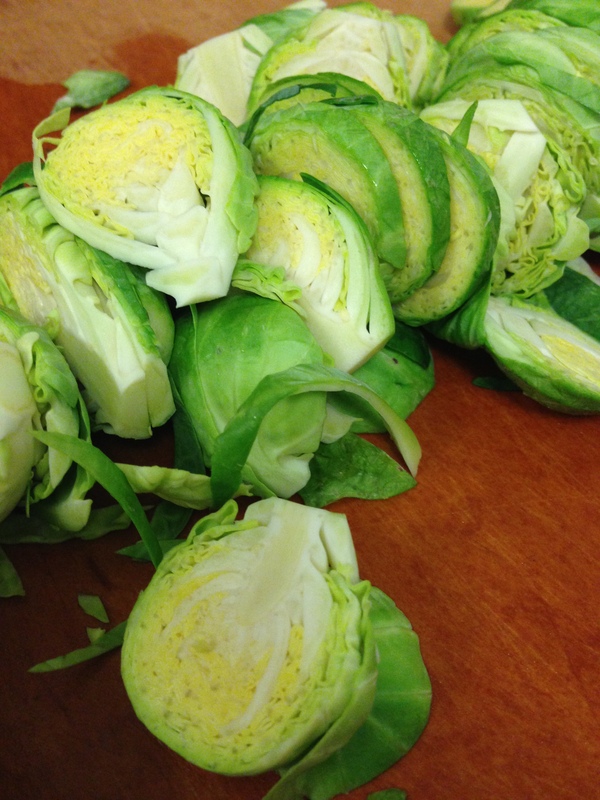 Cut off or peel away any brown spots on the sprouts. With a chef’s knife, slice uniformly to about ¼-inch thick (see photo below). Heat an 8-inch skillet over medium heat. Add oil and butter (or ghee) and heat until bubbles subside. Add shallots and sprouts. 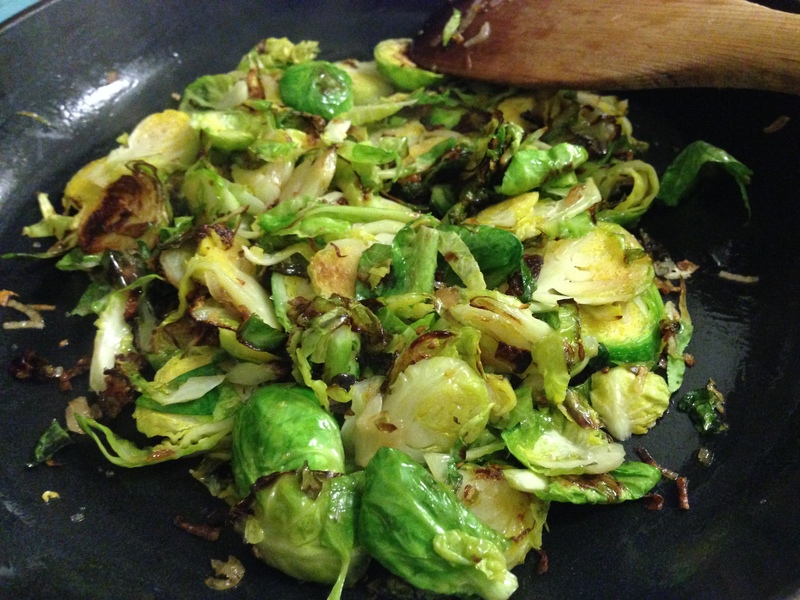 Let them cook on a back burner, stirring occasionally for about 20 minutes, or until the sprouts start to caramelize. Adjust the heat as necessary. To add a bit more depth to the dish, I decided to finish with some champagne vinegar that I had on hand. You could also try another vinegar or an open bottle of white wine. Continue sautéing until the liquid is nearly all reduced. Season with salt and pepper, and serve. This entry was posted in Recipes, Side dishes, Vegetables and tagged vegetables, Whole30 optional. Bookmark the permalink.